The City Lodge Durban Hotel has all the necessary amenities to turn a business trip into a leisurely KwaZulu-Natal escape. 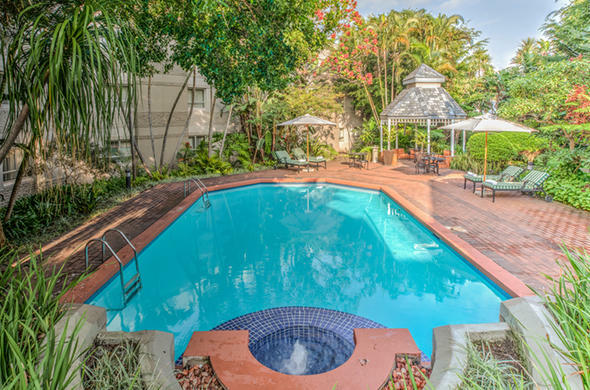 This Durban hotel offers guests a number of leisure facilities including a sparkling swimming pool, mini gym and sundowner bar. Guests can spend a day with the family at nearby uShaka Marine World. Outside of this Durban hotel there are a number of restaurants, and who could forget that just two blocks away is the main beach. A small meeting room is available to guests. There is wireless Internet access in the restaurant and most rooms and the hotel provides fax and photocopying services.